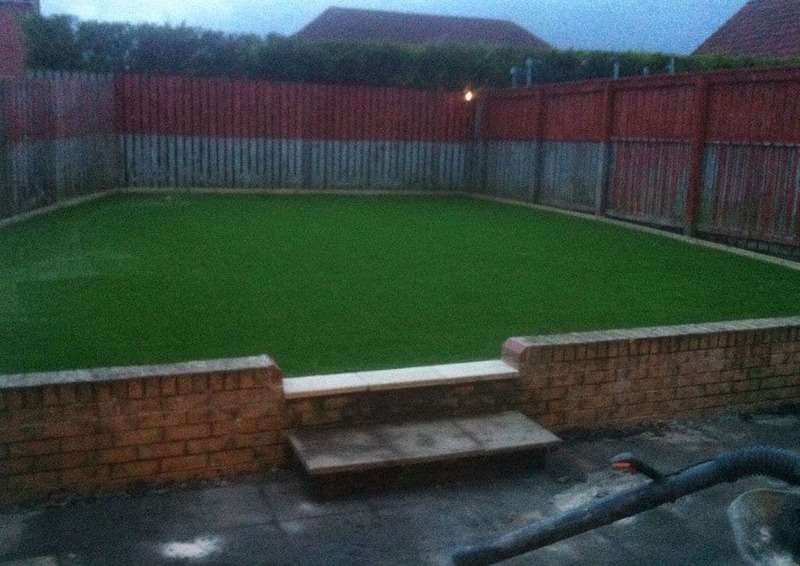 A recent project in Sunderland for an artificial grass installation. 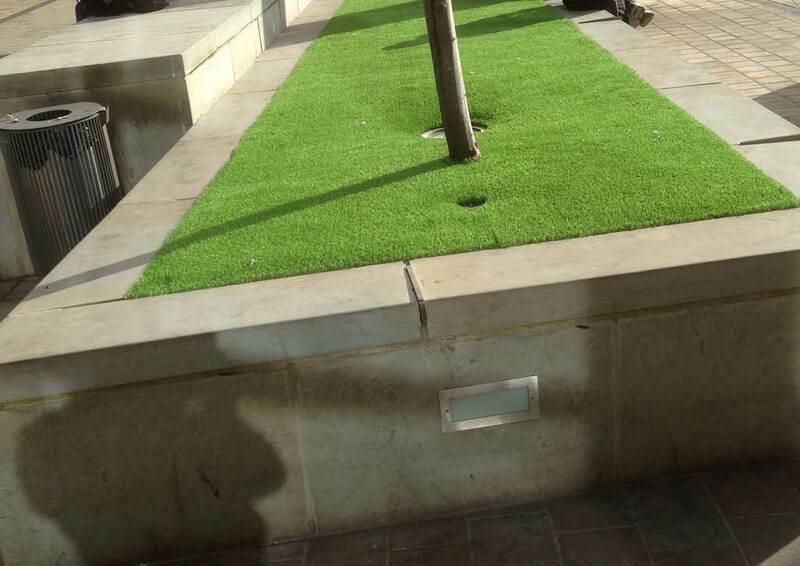 The project was for 40m2 of wonder yarn 36mm, this type of grass by LazyLawn looks absolutely stunning when laid. 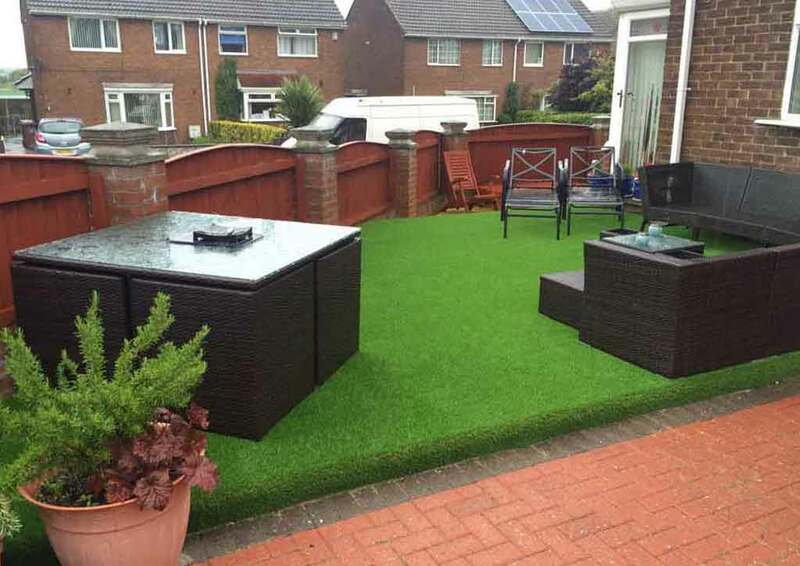 A beautiful artificial lawn all year round for our customers in Sunderland to enjoy. Here at Ian Howe Landscaping, we use the LazyLawn brand of grass for its realistic looks. 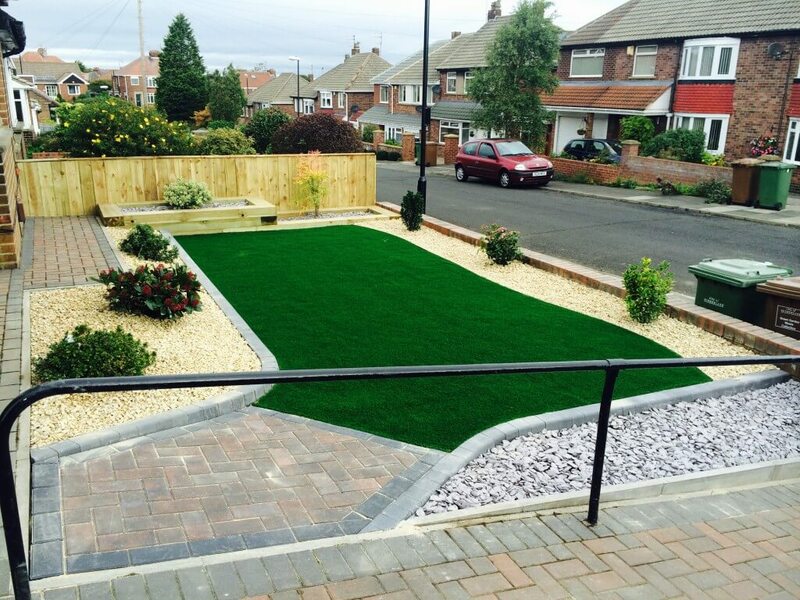 We are the main installers for LazyLawn artificial grass not just in Sunderland but throughout the North East. LazyLawn has been creating lovely lawns for over 35 years. The company themselves have an extensive portfolio in a choice of different colours, textures and pile heights. From traditional grass to funky colours which are great for children’s play areas. 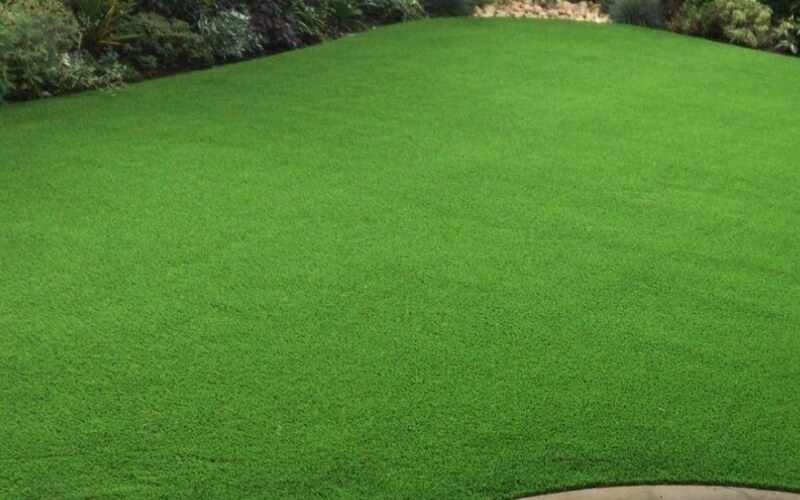 LazyLawn products have been used over the years by the likes of Alan Titchmarsh and Amanda Holden. In addition to major brands such as Selfridges, JD Wetherspoon and Centre Parcs. Another great factor about this type of turf is it is very easy to maintain. Homeowners can benefit from no weeding, trimming or watering. Which is perfect for areas which have heavy footfall for example football pitches or marquees. Overall it is a cost-effective solution to a natural lawn. 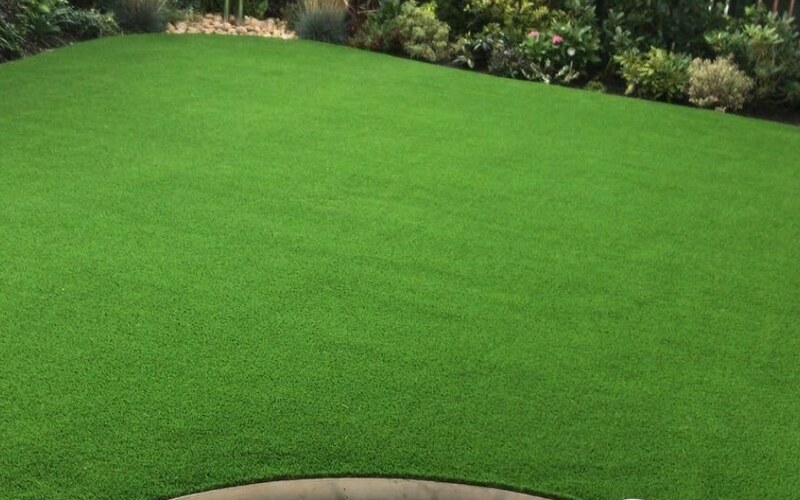 These high-quality products are suitable for artificial lawns, putting greens, pool sides, roof gardens and much more. Keeping its lovely vibrant colour all year round its a perfect low maintenance solution for your home. 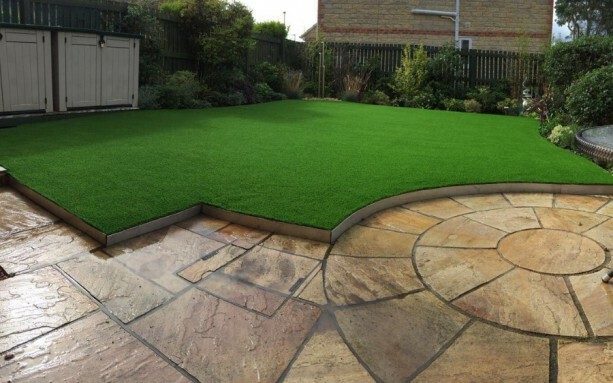 Having a good installer for your artificial lawn is also important for a lasting result. For your peace of mind, we are the official LazyLawn installer for the North East. Giving you not only a quality fitting service, but we also have excellent knowledge of the different types of grass and can advise you on the best solution to suit your individual requirements. All projects are designed from start to finish by our own team. We do not subcontract any of our work, all our staff and qualified and trained to the highest standards. Furthermore, being a landscaping company, means we can add those extra finishing touches for example; patio paving, edging, steps, pathways, garden walls, raised planters and much more to complete your overall look. Over the years we have designed and installed many projects for both the corporate sector and domestic households. 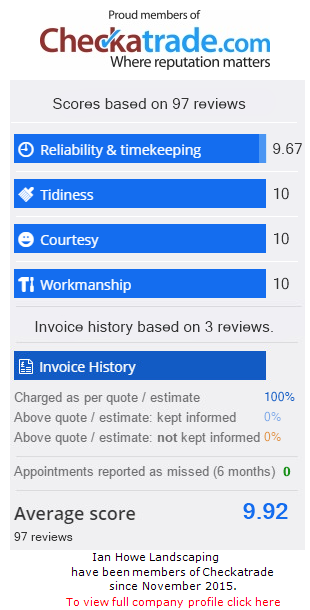 Why not take a look at some of our reviews on Check a trade? You can also keep informed of our latest projects by joining our Facebook Page.